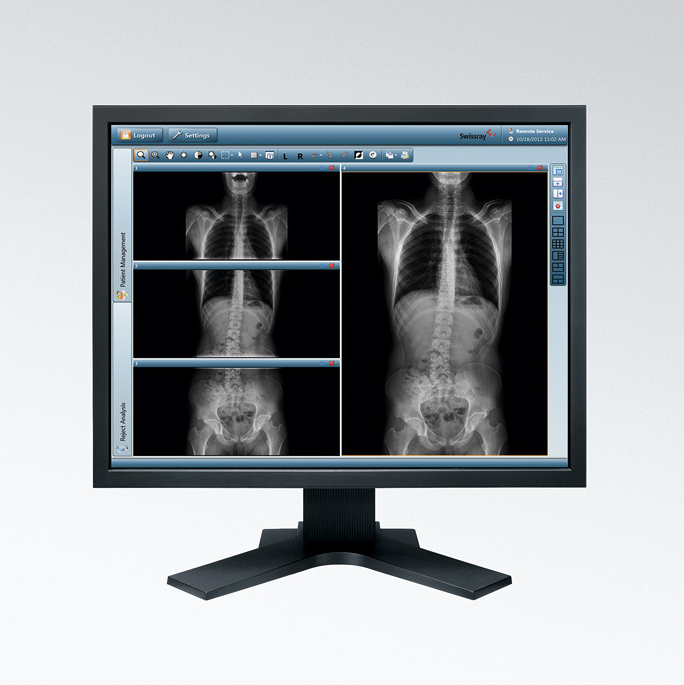 The ddRVersa™ Motion is designed to provide fast and flexible digital imaging in the demanding environment of a busy Radiography Department. 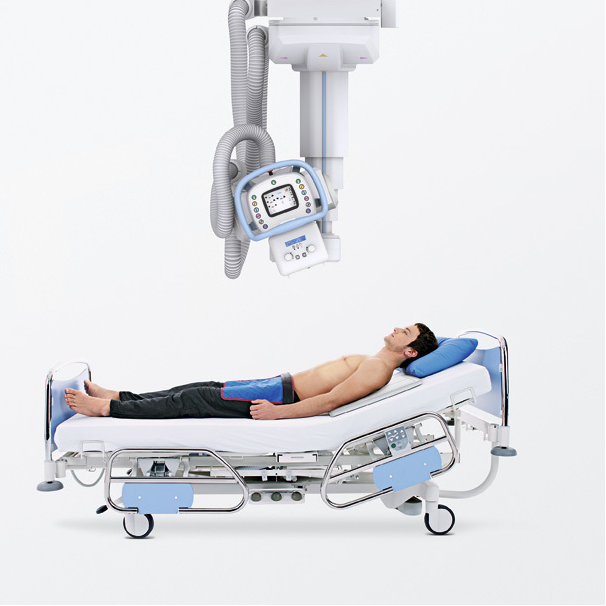 Featuring Swissray’s exclusive APS™ – Automated Positioning System, it is a multifunctional and fully automated digital radiography system with motorized ceiling suspension, a fixed positioning table with elevating base including a four-way floating top, a smart wall stand and auto-tracking detector with removable grids. The ddRVersa™ is available in different configurations – fully automated, semi-automated or manual, with multiple or single detector. They can all be tailored to meet your workflow requirements and budget specifications. Swissray’s advanced robotics automatically positions the system for selected examination. 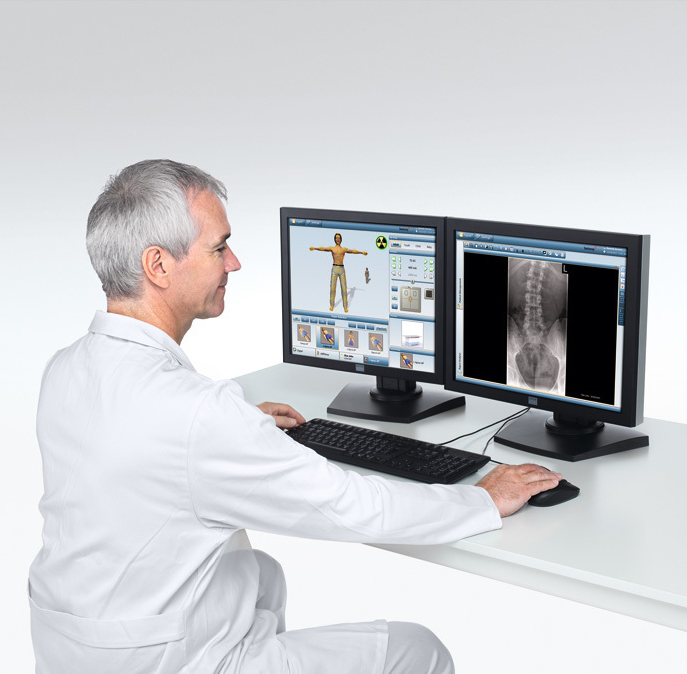 Position selection of pre-programmed settings is available at the touch screen console right at the patient’s side or at the eXpert™ workstation outside the room. The FollowMe™ function aligns the elevating table and wall stand’s detector with the over-head tube for faster workflow and more convenient image acquisition. Advanced single focus eXpertStitching™ is an option for orthopedic applications. The semi-automated configuration features Swissray’s FollowMe™ function for vertical alignment of the overhead tube with the wall stand and horizontal alignment with the patient table. Normal system movements and positioning can be conveniently controlled with just one hand benefiting from the comfortable tube handle with central free release. The ddRVersa™ is also available in a single detector version which provides the same excellent image quality and ease in positioning but with the smallest possible room requirements. The ddRVersa™ SD can be configured with or without any of Swissray’s mobile patient tables. The single detector wall stand is available with Swissray’s FollowMe™ feature including manual or motor-driven movements. Swissray’s mobile patient table can be easily positioned over the wall stand’s detector when it is parked in the 0° position.